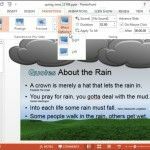 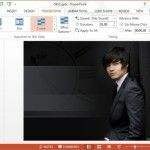 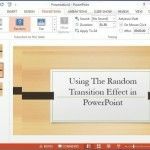 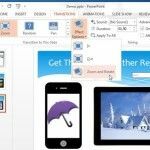 Improve your presentations and make stunning slide designs taking advantage of the new PowerPoint effects and animated transitions that you can find in Microsoft PowerPoint 2013 and 2010. 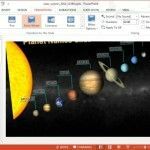 What better way to present slides about the solar system than orbiting each slide across the monitor? 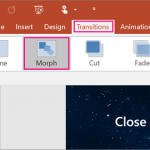 The Orbit Transition Effect in PowerPoint is a good option for switching your slides in a unique manner, i.e. 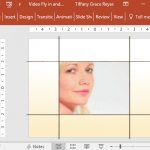 by switching to the next slide with the orbit effect. 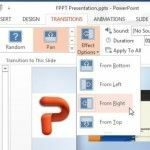 If you require making a presentation about the environment, global warming, climatic conditions of a region or the weather in general, then you might find it useful to use the Wind Transition Effect. 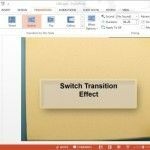 Sometimes when making presentations one can use a transition effect to switch between slides. 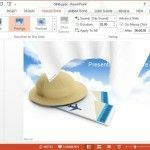 For example, if your presentation is about the declining bee population, you might want to use the Honeycomb Transition Effect for your presentation.